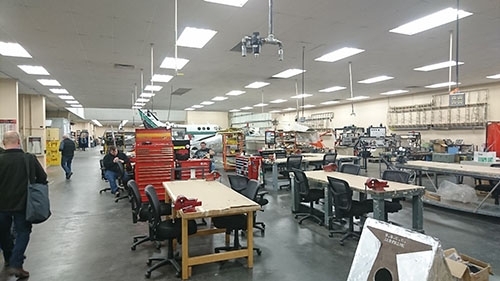 Recently, BriskHeat’s Hampton Brown, Director of International Composite Sales, and Chad Goines, Regional Industrial Sales Manager, had the opportunity to present a Lunch and Learn session for students at Big Bend Community College, in Lake Moses, Washington. 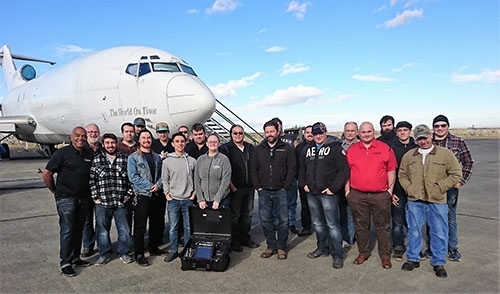 Students in the composite repair and aviation maintenance program learned about BriskHeat’s line of composite products and how they’re used in the field. The Lunch and Learn was part of a four-city tour Brown and Goines undertook to promote BriskHeat’s ACR® hot bonder and composite line. BriskHeat provides Lunch and Learn sessions for various organizations throughout the world. Contact BriskHeat today if you are interested in us visiting your organization.